Mystified are Jess, Alizon and Ben. I knew I was going to love Mystified before I even saw them- a remark from an amazed audience member who couldn’t believe that, “a woman can play such great riffs,” meant I was sold. (For both the riffs, and blowing this poor lads mind). 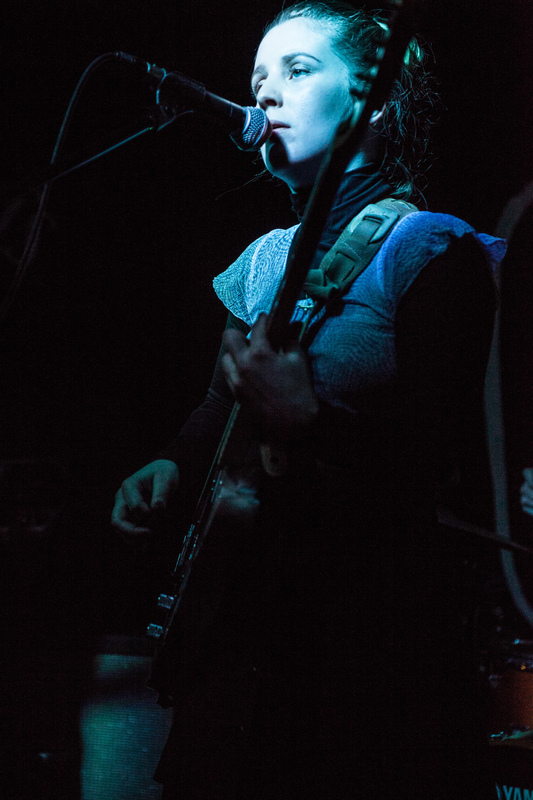 Jess is an incredible front woman, having played dates with Slaves previously, and Mystified are know for their crazy schedule – if I’m right they played 14 gigs in December. When I asked them about this before they went to record in Germany (interview in April issue of 98 Wounds), they told me that they aren’t worried about overplaying, they just want to be as good as they can be, and LOVE playing music. 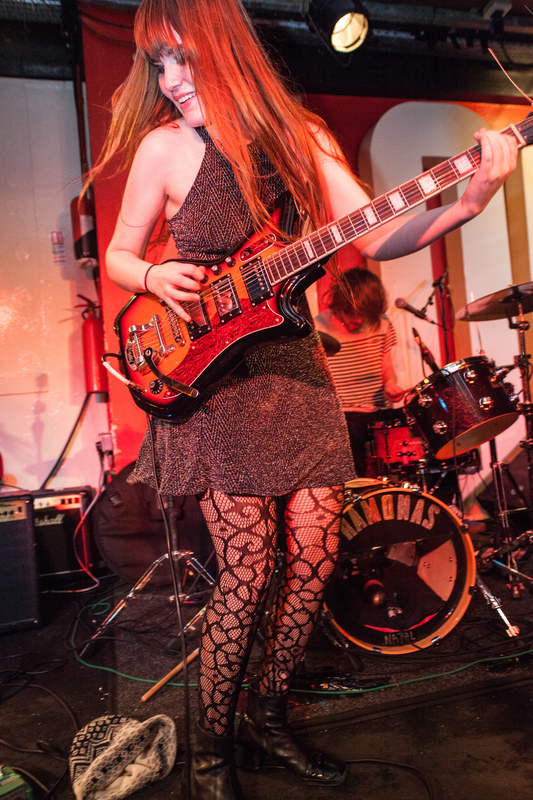 Thyla are one of many great Brighton bands fronted by brilliant women (also take a look at Martha Gunn and Bathcat!) Millie is on vocals and guitar and the band sound like a 2016 Blondie, with a grunge base. Listen to new song Car Crash and go see them play Dials Fest this year. They have a name that I still can’t manage to get right (named after a barbershop in Manchester), but I definitely remembered seeing this band. There isn’t much info online about them, however, they are touring at the minute with one of last years Femmeuary bands, PINS. I could not take my eyes off the bass and synth player – the music was great and the singer is wonderful (I believe he was in ‘Brown Brogues’? ), but twas not he that commanded my attention..
FKA Twigs stood out for me last year at Field Day. She has an extremely strong stage presence intertwined with fragility. I think it is expected that a strong woman will not show weakness, which, to me, makes Twigs stronger for portraying a real person onstage. An artist that is recognised by the mainstream and controls her own visuals, and refuses to be famous for who she chooses to be in a relationship with. 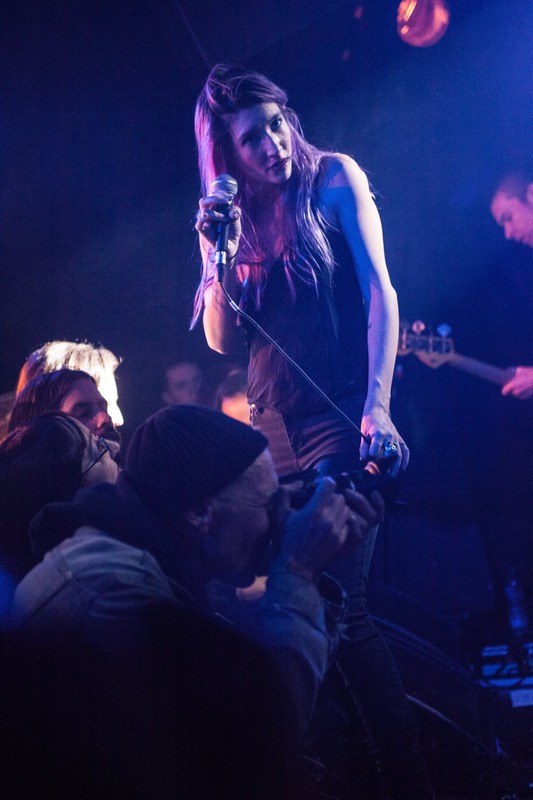 Carre Callaway was recognised at sixteen by Trent Reznor, which if you know anything about her band Queen Kwong, you will likely have been told. But I think what is more impressive is her band today, around 10 years later. Carre, as a solo artist, toured with Trent’s band Nine Inch Nails and alone on a stage with a guitar, was jeered. This did not deter her and today Queen Kwong play with ex-Marilyn Manson bassist Fred Sablan and ex Limp Bizkit guitarist Wes Borland, which to those booing at those early gigs, must feel very bitter! 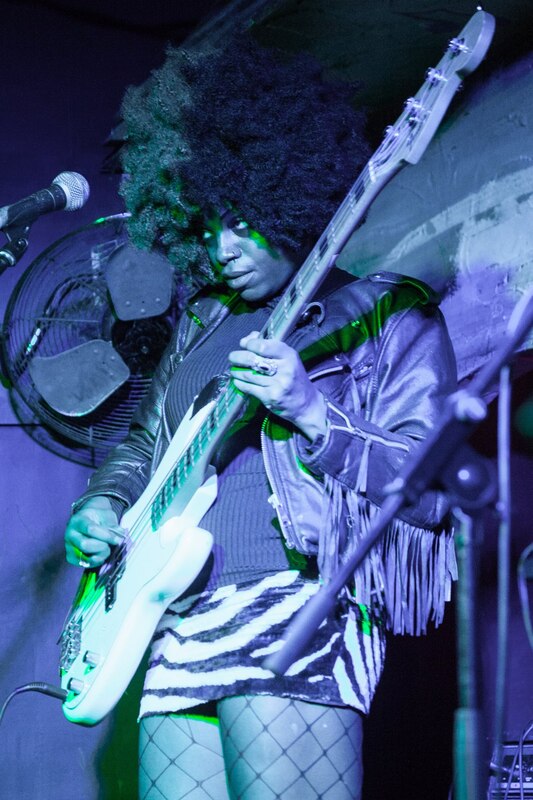 We interviewed the band last year, who were very passionate about the music and also expressed feminist views of equality and being yourself – not manufactured to meet a standard in the business. With a band of established and experienced musicians (including Carre), the music is touching on a genre rarely established – a female led band that would be welcome at ‘Download’. 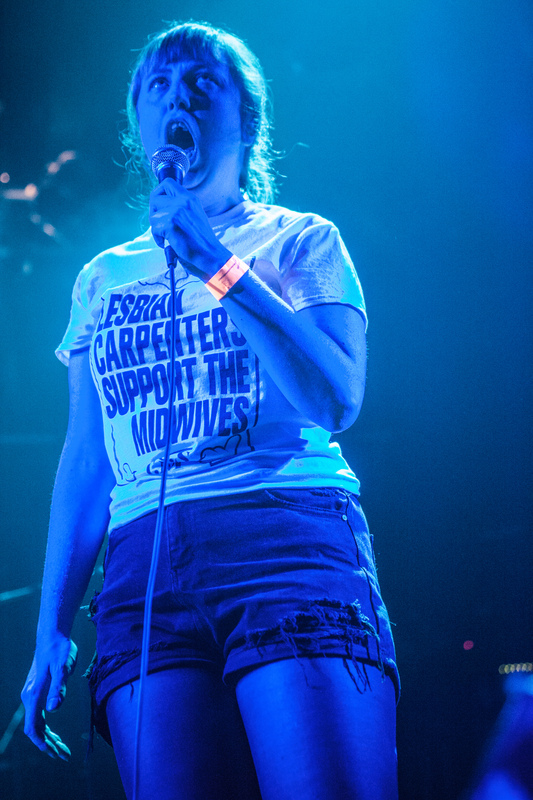 You all know Bikini Kill – many of us have learnt a lot from this band and for some, Bikini Kill was an introduction to feminism. After Bikini Kill, Kathleen Hanna formed Le Tigre, and after Le Tigre came The Julie Ruin. At The Julie Ruin show in Camden last year I encountered one of the most friendly and accepting crowds; as well as two fantastic support bands! The first were Feature, then Woolf. 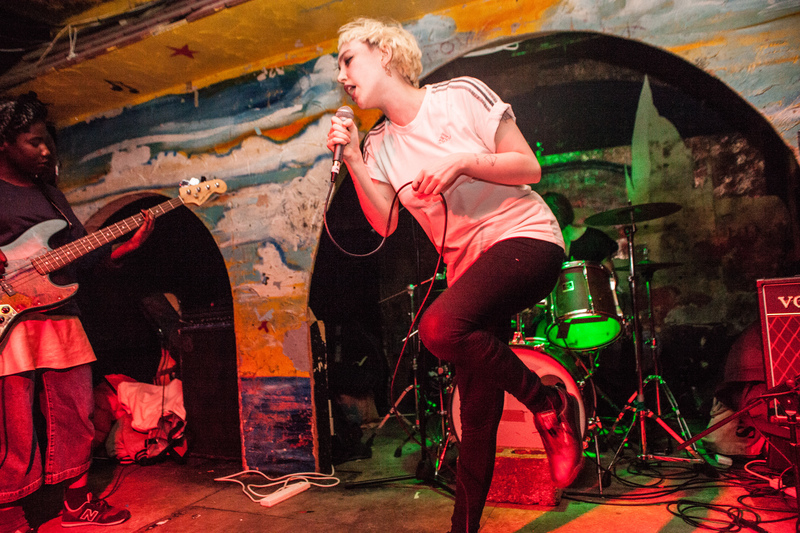 Woolf are described as, “Queer punk from London” and “Dystopian revision of feminist queer punk”.